The no-confidence notices were moved by TDP's Thota Narasimham and YSR Congress member Y V Subba Reddy. 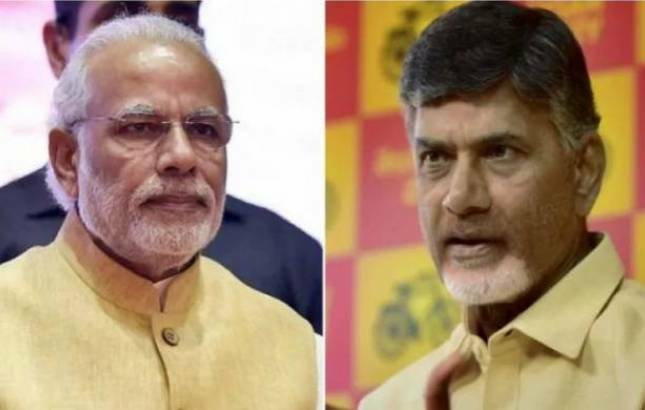 The Telugu Desam Party (TDP) on Friday parted ways with the Bharatiya Janata Party (BJP)-led NDA government over the Centre's refusal to grant Special Category Status (SCS) to Andhra Pradesh. And within hours of the announcement of its exit by party president and Chief Minister N Chandrababu Naidu, the TDP moved a no-confidence motion against the Narendra Modi government in the Lok Sabha. Following it, the YSR Congress also moved a confidence motion. The no-confidence notices were moved by TDP's Thota Narasimham and YSR Congress member Y V Subba Reddy. However, the motion notices were not taken up as Speaker Sumitra Mahajan said there was no order in the House and adjourned the proceedings for the day amid vociferous protests over various issues. The TDP politburo unanimously took the decision to end the alliance with the NDA during a tele-conference with Naidu on Friday morning. Earlier on March 8, union ministers, P Ashok Gajapati Raju and YS Chowdary, resigned over the issue. The motion can be accepted only if the TDP has the support of at least 50 members in the House. While the TDP has 16 MPs in the Lok Sabha, the YSR Congress has nine. Congress and Left leaders said they would support the motion against the government. "When the Andhra parties bring a no confidence motion in the Lok Sabha, we will support it," Mohammad Salim of the CPI-M said. Congress leader Mallikarjun Kharge said that the party would also support the motion but asked the two regional parties to not play politics over the matter. However, the union government expressed confidence that it has the numbers to thwart the crisis, terming the TDP's decision to quit the NDA "inevitable". The BJP claimed that the TDP exit opened an opportunity for it to grow in the state. BJP spokesperson GVL Narasimha Rao said the TDP's decision to quit, he said, was inevitable after its "mischievous propaganda" against the Centre. Parliamentary Affairs Minister Ananth Kumar said the country has full confidence in the prime minister as does the House. "The government has the numbers... We are ready to take up everything," he said. With the BJP alone having 274 members in the 536-member Lok Sabha and enjoying support of allies, the no-confidence motion, if accepted, is likely to be defeated but it has the potential to put the BJP in a tight spot in the state. Meanwhile, lending support to the TDP, West Bengal Chief Minister Mamata Banerjee welcomed the party's decision to quit the NDA and urged all opposition parties to work closely together against "atrocities, economic calamities and political instability". The Telangana Rashtra Samiti (TRS) led by K Chandrasekhar Rao, however, ruled out its support for the no-confidence motion against the NDA government, describing the move as a "political gimmick". The TRS has 11 MPs in the Lok Sabha.